The DecoColor Broad-tipped Oil-Based Paint Marker is a great medium to thin line marker for black books, backpacks, art or other application where adding a careful touch of color paint is necessary. 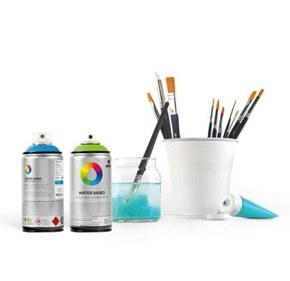 The fast drying solvent based marker comes in a wide range of non-fading colors. Decocolor paint markers Pale Blue is an ultra-light blue shaded coversall solvent-based paint perfect for any application!